Posted in Bright Ideas / Webinars on May 18, 2018. 2018 is the year every business, large and small, will need to take time to include schema (or structured) markup on their site. Search engines are using this information more and more, not least in featured snippets and voice search results, and so to future-proof your site for new search features you’ll need to have a plan in place for marking up your on-page content correctly. Get it wrong and you might face a Google penalty, so it’s key to get it right first time. Poll one: How confident are you in your knowledge and use of schema markup? 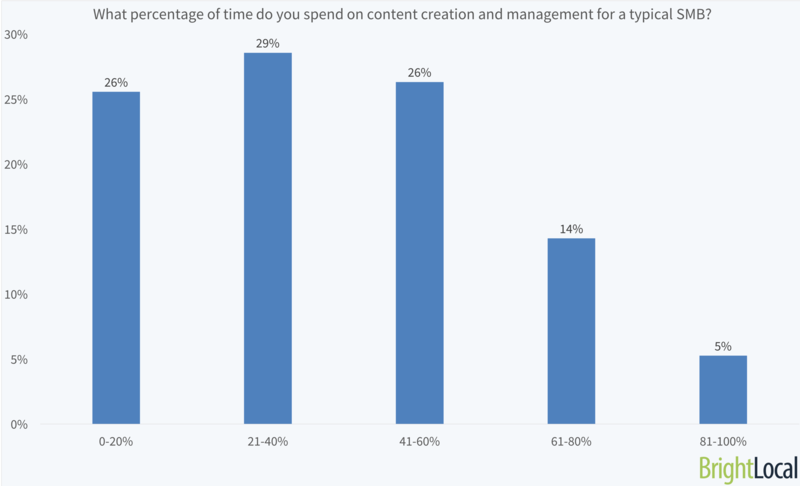 Poll two: What percentage of time do you spend on content creation and management for a typical SMB? In our May 16 webinar, host Myles Anderson was joined by two SEO experts, Martha van Berkel and Gyi Tsakalakis, to discuss what tactics work best when optimizing your site for a local audience. Our webinar recap includes the full webinar recording, the live poll results, all the resources the panel discussed, and highlights from the text Q&A. If you’ve got any thoughts or questions, please share these in the comments below. Martha told us that only 30% of businesses are currently using schema, with just 5% doing it well—so using it properly is a great way to stand out from your competition. In relation to snippets, Gyi believes we’re at the tip of the iceberg: with the Internet of Things growing ever more important, making your site easily readable by machines is critical. The panel discussed the importance of local business websites—with Gyi saying companies such as law firms were more likely to continue to need a great local website than restaurants. Martha believes websites remain important today—but in 5-7 years time, businesses may see consumers interacting in alternative ways. Gyi discussed which content he believes is most important to regularly be updated for professional services firms: professional bio pages, testimonial pages, and FAQs. Content should respond to users’ needs, and this is normally research-based. Don’t worry about creating different blog posts for every possible question that a user may have, he says. Martha recommended Q&A schema markup for FAQ pages. Links in content remain important, according to Gyi. He recommended creating content that attracts local links, and talks of how this continues to move the dial for legal businesses. 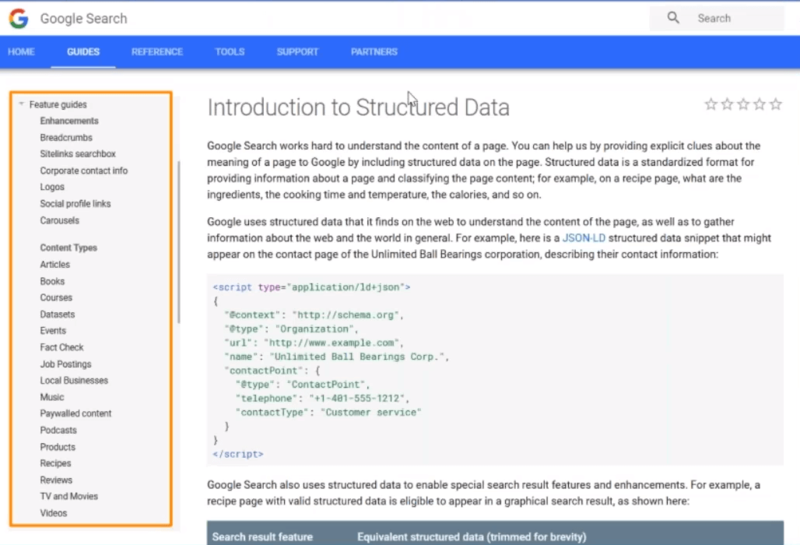 Martha shared a useful schema tip for linking services and offers for different locations. For more information on how to do this, see How-to Create Services Schema Markup for Businesses. Q. Can I add schema markup to Wix and Square Space? Q. We see many businesses “abusing” aggregateRating by making up a value. Does the panel have a position on the ethical application of this Schema? Q. We’ve seen a couple of Schema plugins for WordPress. Do you recommend using them or add the code manually? Or can you even recommend a good plugin? Q. Does the same schema markup go on every page or does it get customized per section of the website, for example: contact, products, services, FAQ, etc? Q. I have several Plumbing & HVAC clients. Schema markup forces me to choose just one category. I haven’t seen a plumbing & HVAC company that wants to get listed as just one of these categories. What to do? Q: How do you do ‘founded in’ and what does it look like in Google? Q. I tried some of these rich results snippets, added the code, tested it (Using Google Testing Tool and it checks out), but it still does not produce a rich snippet. Is there a specific step I have to do after adding the code to get a rich result? If you’ve got any more questions, please leave a comment below. We hope to see you at the next InsideLocal webinar! Martha van Berkel is co-founder and CEO of Schema App, which empowers digital marketers to create, manage, and leverage schema markup with no dependency on IT. Martha spends her days with digital marketers from enterprises and digital agencies discussing the value of schema markup and strategizing on how it can bring the most value to their clients and companies. As a founder of AttorneySync and EPL Digital, Gyi has come to learn what really works online. He regularly speaks and writes on SEO, and is particularly interested in local SEO. He also has a somewhat unhealthy relationship with Michigan football and coffee. If you’re ever in Chicago, he’s happy to talk shop. Myles is Founder and CEO of BrightLocal. He has worked in the local search industry since 2009 and has been a major contributor to the Local Search Ranking Factors Study. Myles has also written a regular column for Search Engine Land and has spoken at SEO conferences such as BrightonSEO and Inboundcon (Toronto).